The St. Thomas Aquinas Catholic community traces its roots to the year 1884, when a mission church was established in Langdon Township, six miles north of Hastings. The mission, called St. Patrick, was ministered by priests from Guardian Angels Church in Oakdale and Blessed Sacrament Church in St. Paul until it was closed in 1900. The sacraments were celebrated in several buildings in St. Paul Park for the next two years. With the approval of Archbishop John Ireland, the old Langdon mission was moved to the corner of Summit and Broadway Avenues in St. Paul Park. On January 27, 1903, the faith community of St. Thomas Aquinas was incorporated. The basic church structure still stands at that location (700 Broadway). Priests from the Cathedral of St. Paul served the community until 1915, when Father Patrick J. Hart (pastor from 1915-1934) was assigned as the first resident pastor. During Father Hart's pastorate, the church was enlarged and a rectory was built next door. Father Edward S. deCourcy served as pastor from 1934 until 1940. During his tenure, a new floor was installed and confessionals were purchased and installed in the church. 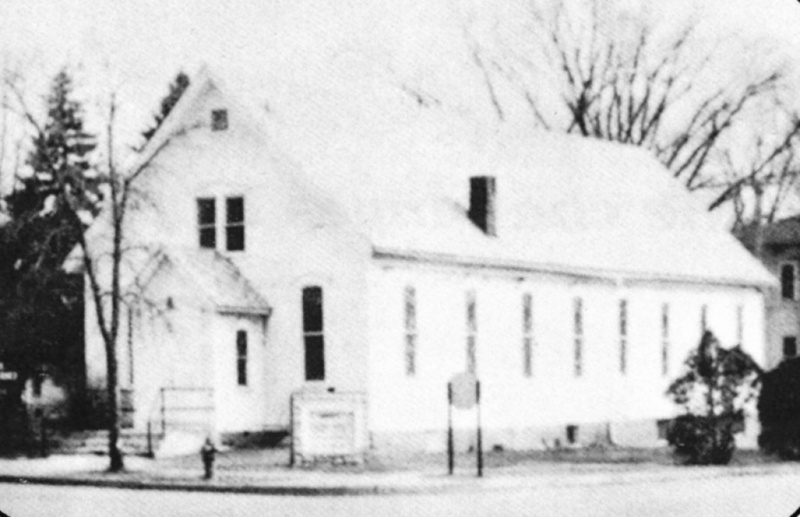 It was during the tenure of the third pastor, Father James Westfall (pastor from 1940-1950), that the present property was purchased, a parochial school was opened in September 1949, and a home was purchased and remodeled at 817 Ashland Avenue to house the Sisters of St. Joseph of Carondelet nuns who taught at the school. 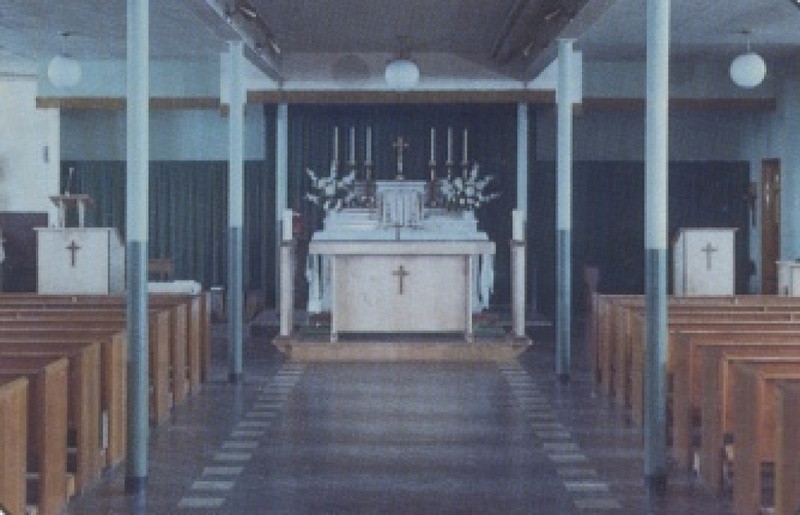 During the early 1950's, the fourth pastor, Father Charles Eggert (pastor from 1950-1964), directed the remodeling of the school basement and converted it into a church sanctuary. The building at Summit and Broadway had become too small to meet the needs of the growing community. In 1955, ground was broken for a new addition to the north end of the school which added six classrooms and office space. Shortly thereafter, a new rectory was built on the corner of Ninth and Ashland Avenues. Soon after Father Lawrence Keller (pastor from 1964-1978) became our fifth pastor, the parish launched an ambitious building program to meet the needs of a community that had grown to more than 1100 families. Plans proceeded to build a new convent, school, and church. The old school building was razed to make way for the new school, presently our Activities Building. 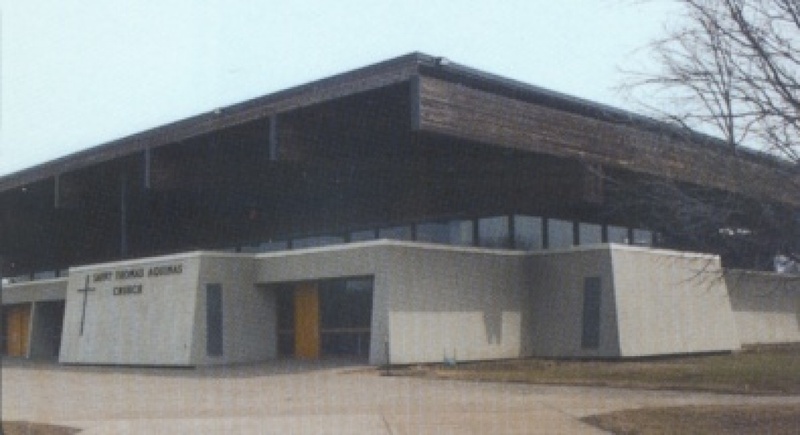 The convent, school building, and church basement were completed in November 1967. The first Liturgy of the Eucharist was celebrated in the new church in July 1969. The eight-grade elementary school was closed in June 1971. The following year, a nondenominational preschool for children aged three to five was opened. After the elementary school closed, the rectory at Ninth and Ashland was sold, and the convent was renovated to house the pastors and church offices. 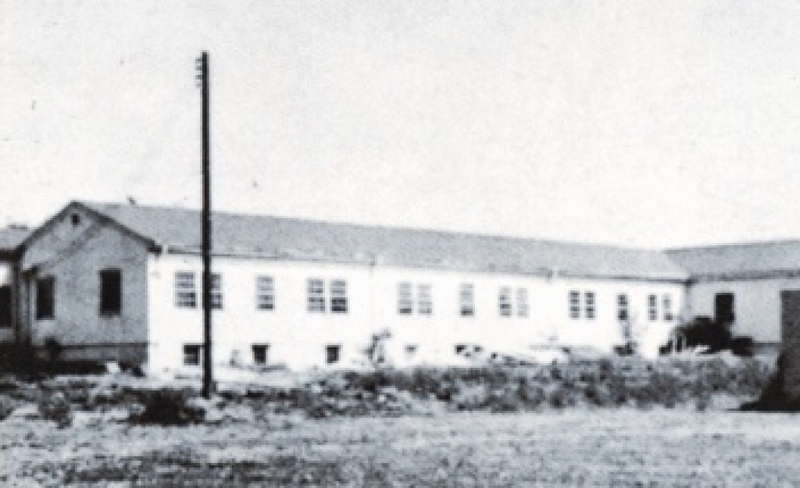 The church offices were relocated to the Activities Building soon afterwards. The church was officially dedicated on May 6, 1973, by Archbishop Leo C. Byrne. Father John Fitzpatrick (pastor from 1978-1987) served as our sixth resident pastor. During his time with St. Thomas, the Activities Building was remodeled to cluster parish offices, additional staff assumed responsibility for new and expanded programs, and the church mortgage was retired. Our seventh pastor, Father Tim Wozniak (pastor from 1987-1999) came to us in 1987. 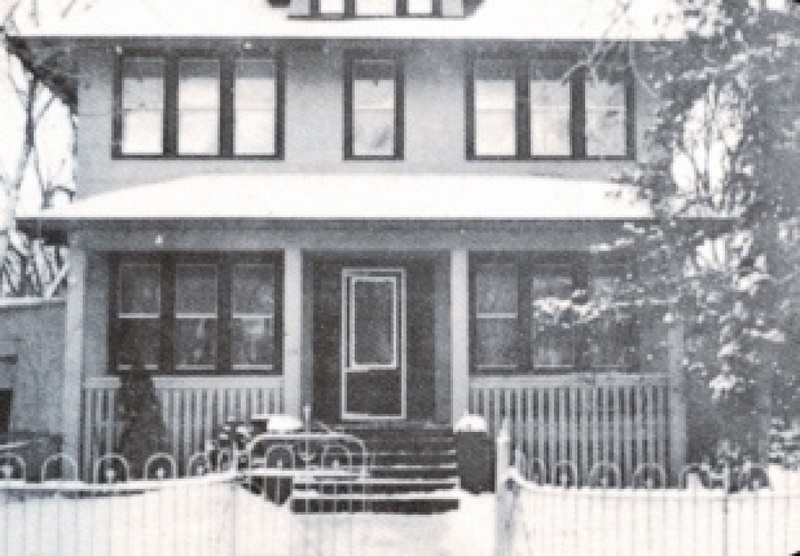 Under Father Wozniak's leadership, the rectory was made available to the Family Violence Network in 1993 to serve as a shelter for battered women and Father Tim moved to his own home in the community. The parish began a capital campaign in 1994 called Space 2000. Funds were used to renovate the parish hall and provide room dividers in the north wing of the Activities Building, an elevator was installed in the Activities Building, and the church was made handicap-accessible. Repairs were made to the church roof, the ventilation system was improved, and the church carpeting was replaced. Our eighth pastor, Father Greg Esty, came to St. Thomas Aquinas in 1999. During his tenure as pastor, parish leadership developed new ways to communicate and coordinate regarding ministries, programs, and parish finances. Stewardship and charity have been held up as important values of our parish. A parish feasibility study, entitled, "Faithfully Planning Our Future," was conducted to evaluate program and facility needs and desires, and to develop a long-range plan. Core values, a new vision statement, vision narrative, and updated mission statement were developed by volunteers and staff leaders together with Father Greg. Whole parish catechesis has become a key component in our identity as a Catholic faith community. In 2009 St. Thomas Aquinas celebrated its 125th Anniversary. A yearlong celebration brought many old and new parishioners together for a wonderful community building celebration! Some of the special events included the publishing of a new Anniversary cookbook, a quilt raffle, a thesis presentation on St. Thomas Aquinas architecture by Ryan Connolly, a Parish Mission, an All School Reunion, an outdoor concert featuring The Dweebs, a polka mass, dinner and dance, and an all staff and clergy mass and breakfast. This very full year reconnected many and created long lasting memories. In addition to the rental of the rectory for a battered women's shelter, since 2006 the north wing of the school building has been the home for tenant Hope Christian Academy, a private non-denominational Christian school. In 2010, Natural Science Academy, an environmental charter school, became the tenant of a portion of the upper wing of the activities building. Not only is the use of space excellent stewardship of our property, but both schools are most welcome additions to our building and community. Many physical improvements have been made to St. Thomas Aquinas from 2007-2011. Some of the major improvements included a new north wing roof, parking lot and refinishing of the church beams in 2007, a new outdoor parish sign with changeable messages in 2008, significant expenses for city street improvements, an addition of church narthex restroom and hospitality counter in 2010, new church and parish office carpet in 2010 and 2011, an ecologically friendly rain garden in 2011, and certainly the most significant improvement was the addition of air conditioning in the church in 2011! In addition, many repairs and improvements were made to the building infrastructure. In all cases, these improvements are part of being a welcoming and inviting parish so we can continue to carry out our mission! Our ninth pastor, Father Joseph Anthony Andrade, came to St. Thomas Aquinas in 2012 and will continue to lead our parish in many spirit-filled ministries! From our beginning as a mission parish in 1884, the St. Thomas Aquinas Catholic Community continues to grow and change to meet the needs of our parishioners who are the Body of Christ. Each week we gather together to share and grow in our faith. And each week we are sent forth into the greater community to "be Christ for one another."